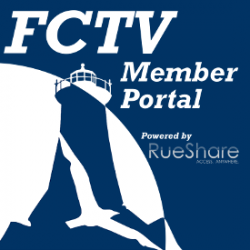 The FCTV Member Portal, powered by RueShare, allows any registered and active member of FCTV to sign up for classes, create productions, reserve equipment for those productions and even work with crew. NOTE: If you are using the system for the first time, you will have to reset your password. To do that, you will have to click the "Forgot Your Password?" link below the login. Then, on the next page, enter the email address we have on file for you and it will send you a link that will allow you to reset your password. Your email address will be your username for this system. If you do not know what email you might need to use, or have any other questions or difficulties accessing the system, please contact us. To access the system, click here.